There seem to be ever-growing public safety concerns regarding mercury. Further, many people are worried about their old silver amalgam fillings, whether mercury can leak from them, and if there are adverse health effects. The fact is that mercury is a highly toxic element. Old silver amalgam fillings are an alloy comprised of a combination of mercury, silver, copper, tin, plus other trace minerals. But can mercury leach out from these fillings? Should you be concerned? Should they be replaced? 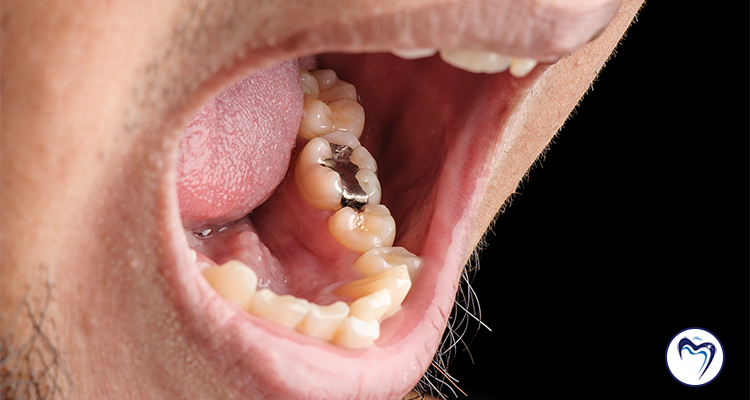 Here are the answers to those, and other questions about old silver amalgam fillings. Does mercury leak from old silver fillings? The simple answer is, yes. However, the amount of mercury vapors released is well below the FDA recommended intake, or .4 micrograms per kilogram of body weight. While the World Health Organization (WHO) states that “Mercury may have toxic effects on the nervous, digestive and immune systems, and on lungs, kidneys, skin and eyes,” unfortunately, scientists do not agree how much mercury needs to be absorbed to cause major problems. WHO goes on to state that while it may be prudent to consider a near-term global ban on amalgam, it would create significant world-wide dental health issues. Furthermore, there have been no published, controlled studies demonstrating adverse reactions to amalgam fillings. Lastly, the American Dental Association states that “Dental amalgam is considered a safe, affordable and durable material that has been used to restore the teeth of more than 100 million Americans.” Should I have my old silver amalgam fillings replaced? If the fillings are in good shape, and otherwise free of problems and defects, it may not be necessary to have them replaced. But, signs of decay, chipping, or poor margins are all great reasons for replacement. It is best to leave an amalgam filling with no defects alone unless you have a cosmetic concern. If they are safe, why are dentists not really using amalgam filings anymore? Amalgam fillings do not bond to teeth, therefore do not strengthen teeth weakened by cavities. Any tooth that is restored using amalgam is not truly reinforced and may experience fractures. Further, using old silver fillings requires the additional excess removal of healthy tooth material for proper fitting. Conversely, composite fillings bond to teeth, require less tooth removal and strengthen the weakened tooth. However, amalgam fillings are still used throughout the world because they are an efficient, less expensive solution for restoring tooth decay. There are many advantages to using composite restorations. Esthetically and cosmetically pleasing as they blend in naturally with teeth. Smooth margins that are bonded and prevent future recurrent tooth decay. Maintains the integrity of the tooth because less tooth structure needs to be removed. Easy to repair chips by simply roughing the surface and adding composite to smooth the surface. Strengthens the tooth because the material bonds to the tooth preventing future cracks and fractures. What would you recommend for my old silver amalgam fillings? Just as with any fillings, whether silver or composite we recommend replacing upon discovering a defect. Problems including poor margins, gaps, or cracks in teeth would all indicate a need for restoration. We will certainly comply if you would like a replacement for cosmetic or personal reasons. Currently, advancements in dentistry have made composite the material of choice for fillings. Still have questions about your fillings? Contact Denise Dental today for an appointment. Our knowledgeable staff will perform a complete examination and walk you through the recommendations.